As a part of the Ethiopian diaspora invested in staying in contact with Ethiopian communities around the world, most of my social media is filled with pages connected to my homeland. From Ethiopian scholars to models to food pages, I try to follow as many pages as possible so I can keep up to date with what Ethiopians are doing. 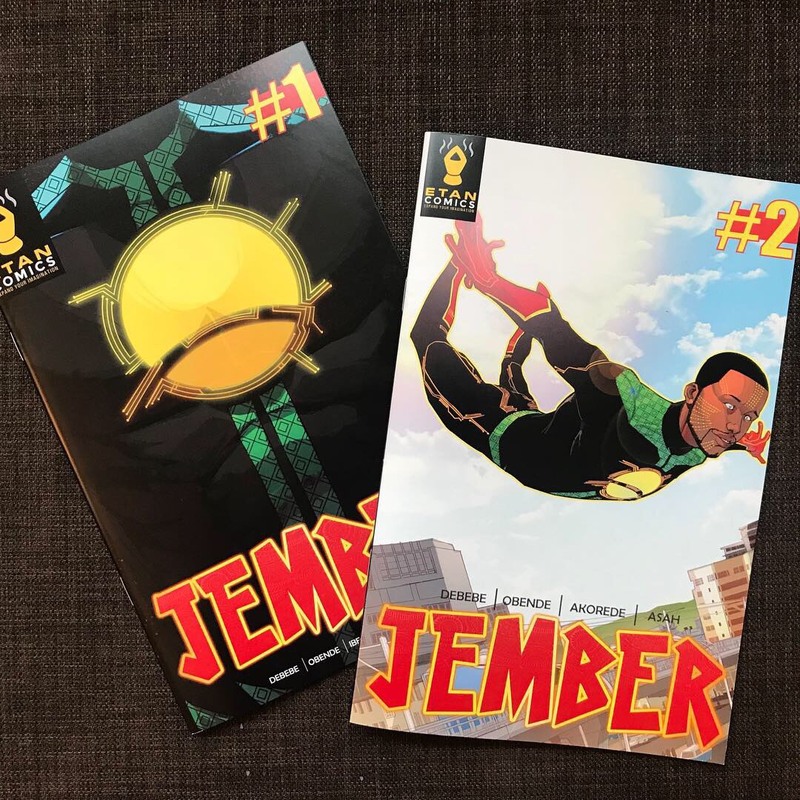 A couple of weeks ago I discovered a page called Etan Comics (etan is an Ethiopian incense most commonly used in our coffee ceremonies) on Instagram and was pleasantly surprised to find out about Jember, the first Ethiopian superhero comic book ever written. It is published both in English and Amharic (the official language of Ethiopia) and has been featured on a number of media platforms such as BBC, The Reporter, okayafrica, The Culture Trip and various Ethiopian news outlets. Jember is about a character named Amanuel Tilahun who recently graduated from university and is looking for a job in Addis Ababa, Ethiopia. Spoiler: he turns into the superhero Jember. I decided to buy the the first book in the series (the second one was released a few days ago) both because I was interested in the story and because I wanted to support this new Ethiopian enterprise. I had never really read comic books, my only contact with that genre was through superhero movies, so I had no idea what to expect from Jember. When it came I found it was shorter than I thought it would be, but I was mesmerized by all the images, slangs and general style that reminded me so much of home. I enjoyed how it was able to bring together aspects of traditional and contemporary Ethiopia into a new medium. I was also surprised to find a handwritten note from the author Beserat Debebe. I wanted to learn more so I contacted Beserat through Etan Comic’s Instagram page. He responded right away and I was able to ask him my questions. Q. : Can you tell me a little bit about yourself? What made you decide to write Jember and found Etan Comics? Were you inspired by anything in particular? Q. :What elements of the book do you think are distinctly Ethiopian or traditional? Q. : Do you have future plans for the publication? Q. : “In the future, we plan to expand the ETAN COMICS Universe one character at a time. In fact, we have left our fans a surprise at the end of JEMBER Issue #2 (Hint: A new superhero has joined the Universe!) We also want to be a hub for African writers and artists to put out their own work in the comics genre. Furthermore, we hope to translate our content into different mediums such as animation, video games, TV and feature films. Q. : In the back of the book you write that you want the rest of the world to know the real Africa (instead of the all the negative depictions in mass media) , how do you reconcile with the fact that Africa and Ethiopia face very real problems we need to deal with and that a true description of our nation and continent cannot be made without acknowledging those issues? Jember and Etan Comics have a bright future. The warm reception the book has gotten shows how the African/Ethiopian people (especially the youth) have been wanting to see their ethnic backgrounds incorporated into the many forms of popular narratives they are interested in. Their culture has evolved to be a hybrid, with interests in both traditional and popular culture. Having a way to express that matters. On top of that, having the source of these comic books be a fellow Ethiopian may inspire different artists to pursue similar endeavors as they try to integrate their backgrounds into their work. 1. THIS IS SO COOL. 2. I am really excited that you came across this comic in your efforts to maintain contact with your Ethiopian culture. I find it fascinating that something as simple as a comic book can combine complex narratives and traditions into a work of art. Thank you, Eleni, for this very interesting report on the first Ethiopian Superhero Comic Book. I very much valued the comment you made regarding the fact that Jember was was able to bring together aspects of traditional and contemporary Ethiopia into a new medium. I believe that when social occurs, the issues tend to originate within nations that begin with the modernize tradition. Older generations tend to always believe that the new younger generation is always the worst yet! Just look how millennials were treated, for example. That is why I believe this report is quite inspiring. The report gives hope for those that believe tradition must constantly be reviewed and recognize when times change. The question is, what traditions in our society are up for updating? First off, I really enjoyed how this article was question and answer format. Secondly, I just interviewed a girl that has traveled to Tanzania and I also got the response that she feels as though we highlight the negatives of Africa way more than the positives. I liked his answer that the negatives must be addressed, but it is also important to paint Africa as not only a negative, but that we should also see the awesome parts that we may be missing. Hopefully Jember really takes off and is a huge hit! Thanks for sharing. This is a wonderful article and I love the images that the author sent you. First, I think the blending of traditional culture into more contemporary platforms is wonderful especially for younger generations. I also think it is very important that artists continue to create non-white, non-western characters because people need to see a variety of stories and others need stories that they can relate to. I am sure you have seen the Ted Talk by Chimamanda Ngozi Adichie called “The danger of a single story.” She also talks about having literature or even movies that represent a broader ethnic and cultural experience. I also like that this comic is published in two languages because then it can possible reach an English speaking diaspora or an non-Ethopian population. I hope the author continues to write these comics and that they catch the attention of even more people. I enjoyed reading your article on this fun topic! I think that having comic books with characters that people can identify with is very important. Being the first Ethiopian comic book to be published is a great start and hopefully others will be inspired to create their own stories from their original point of view. I agree that the negative aspects of Africa are often talked about much more than any positives about the continent. This is especially true in the US as the only time Africa is every really brought up in a conversation is when it is being used as an example for a negative trait. Jember will hopefully be a success and will also show the world parts of African culture that are positive instead of the constant negatives we hear. Thanks for the great read! I think it is amazing that you were able to talk and have a conversation with the author of the comic, i just think that is something that not a lot of people can get. I also like how you keep up with your culture and see where it goes. I think that is something that a lot of people don’t get to any more, because of how far they are removed from their culture or they just don’t have the opportunity to do so. I think his reasoning for making the comic, to show the real Africa is a cool way to make the work that he does. I do wish we did not have to praise someone who paints Africa in a good light because it is such an amazing place from everything i have seen. I just wish there was not such a negative light on it so that the things that make it amazing can shine by themselves. This was very interesting to see how this idea evolved from another animation that taught young girls what to expect from the world and how to fight against the injustices and harmful practices they might run into. What better way to educate children than to create a comic or some other type of media that children will learn from and then to add an educational value to that is brilliant. It is very cool that you got to interview him and hear his answers to the questions that you had. I thought it was a great interview and you asked some great questions and he gave wonderful answers. I liked the part in the interview where he acknowledges the problems that are present in Africa but also what makes it great at the same time. Wonderful article! This was a very interesting article and thank you for sharing. I thought it was was cool how the author kind of talked about the negatives of Africa. Obviously every place has things that they can do better and fix, but we should not just be addressed by those negative aspects alone. I see this a lot with people who talk about a country without really understanding it. They state opinions as if they were facts which leads to focusing on the negative side of things. People need to do their research and search for the good things of these countries and spread those positive messages. Wow Eleni, this is so cool! It makes me so happy to see someone who wants to pave the way for Ethiopians in a less traditional craft. In your opinion, how important is it for Ethiopians to be able to see themselves reflected in pop culture like this? I found it really awesome that you were able to direct message the author to have this discussion with him. The media bias on Africa is something that is not confronted often enough, so I appreciate the fact that he is trying a more balanced approach in the comic. I’m not very interested in superheroes, but I’d be willing to check out JEMBER for the sake of seeing the world from a different lens. Do you think a project like this is a good approach to cross-cultural communication? Even though it is fiction and fantasy, is it representative of the way you see Ethiopia today? 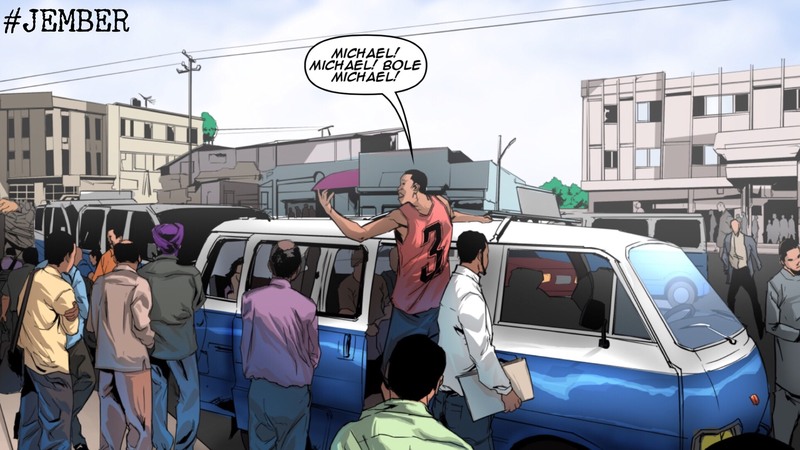 I really enjoyed reading this article about comic books in Ethiopia. I find it very intriguing that the topic of comic book scan be reached to kids all over the word and not just here int he United States. I am glad to hear that by reading this comic book that it helped reminded you of home and by the use of the slang words used in Ethiopia. Having news outlets as big as the BBC cover the topic of this could be huge not just for the comic book, but for all of Ethiopia as well because of its international attention. The attention in highlighting the positives and instead of the negatives things that the mainstream news more often reports on. I am always grateful to hear stories of artists breaking barriers and creating art through mediums that are traditionally one culture oriented. I believe these comics will be an incredible success with African youth as well as the rest of the world who will graciously anticipate this new art. It is also wonderful to be able to reach out to an inspirational figure and hear about their work from their perspective. It is easy for me as a white female to look around the world and think that we have achieved great diversity, but there are so many art forms, institutions, biases, and spaces that lack diversity. I look forward to seeing more breakthroughs. Thanks for sharing! I loved reading this article about the Ethiopian comic book Jember. It is so cool that you were able to interview the author and to ask him such good questions. It is always interesting to know what made someone work on or write what they did and the thoughts they had behind their work. Your second and last question with answer from Beserat Debebemade me think of when the Black Panther movie came out. I remember seeing a lot of articles on the importance to have representation of people of color in super hero movies and provided a story on people from the country of Africa. Beserat and his comic book seem to be providing exposure to the world on Ethiopia and shining a light onto the real Africa. Lastly, I hope that more comics come and that he is able to have a great career in the comic industry because I think it is important to have more diverse heroes and stories in such a westernized or white entertainment industry that I think we see a lot of in America. This article was really interesting and got my attention of a comic book involving a Ethiopian superhero. The illustration of Jember shows the unique culture of Ethiopia and talks about the injustices or problems that are happening across the country. It also humanizes the individuals and people in Ethiopia who are often dehumanized by the mass media that show the negative depictions more than the good. Still, the author Beserat Debebe wants to balance out the positives and negatives of Ethiopia and show them in a better light for rest of the world. Overall, the dedication of the author Beserat Debebe has allowed the youth of the African and Ethiopian populations be able to enjoy a comic book based on their culture or people. 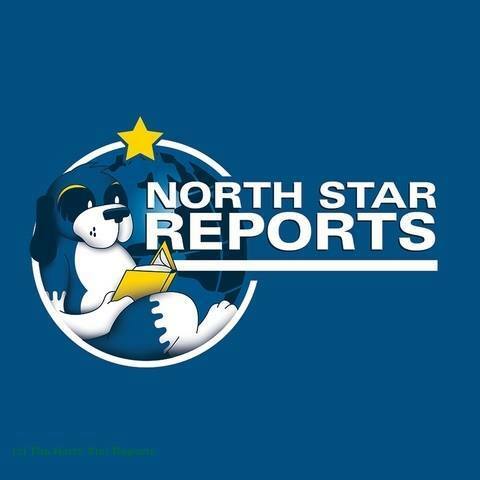 I am so glad you have continued to write for NSR after graduation. Your perspective is invaluable as the US has such a misunderstanding of African nations. This comic book sounds awesome! It’s so cool that you were able to talk to its creator. Representation is so important in terms of empowerment. I am curious: Does it answer your previous challenge of being modern without being Western? It is amazing that you were able to interview the author of a comic book! That is such a great opportunity many of us don’t get to have, so thank you for sharing it with us. In your article, you highlighted that representation matters, and I couldn’t more strongly agree. I think it is great that there is now a comic that will give a more accurate picture of the positive things Ethiopia has. Like you mentioned in your article, we can’t have a onesided story of a people. Human beings are whole beings, and we need to more often reflect that. Amazing article! Thank you for sharing! As always, another wonderful article. I think it is fabulous that you continue to stay connected with your homeland of Ethiopia. From an outside perspective, I would find it difficult to stay caught up with what is going on outside of the united states, specifically a country in Africa. Especially with how ‘western’ focused our media is here in the United States. Furthermore, I think it is awesome that you are able to introduce us to a comic book super hero that comes from a source different than the typical American DC and Marvel comics. This comic seems to be extra as it is focusing on a part of the world that is too often skewed to only show the negatives. I personally, am super excited and would really enjoy reading comics from the Etan universe. What a fun topic to write about! I really enjoyed the article not only because it was wonderfully written but also because something that I probably never would have known about was introduced to me. I do agree that the negative stereotypes are highlighted a lot more than those that are positive. During my short period within Tanzania many stereotypes come to my mind about what to expect. Thankfully, nearly all of them were proved wrong and I was able to see what a beautiful country and what amazing people reside within just this one small country. It’s an incredibly unfortunate fact but it is inspiring and promising to know that there are people out there pushing to see change. Thank you for sharing! I think it is really cool you got to converse with the author of the comic. It is always awesome to get an insight from the author on why and how they came up with they story they did. I think it is great the author is combining traditional elements in with a more modern outlet such as comics. It is a great way to keep tradition alive, especially with younger generations. I like that the author also wants to show both the negative and postive sides of “the real Africa”. I think society often focuses on only the negatives, and sometimes only on certain negatives, so it is nice to hear some authors are trying to combat the issue. This is so cool! I especially liked the fact that the author is trying to authentically capture the culture by setting it in Ethiopia and having the main characters name be so Ethiopian. I also loved the fact that he took into consideration the way media portrays Africa and tried to balance out the negatives and positives because as he also mentioned, theres positives and negatives everywhere and that balance is important to understand. Wow, this is an amazing example of supporting cultural independence and I am very happy to see it. I always enjoy reading stories about people my age supporting small businesses that cherish aspects of a certain culture that outsiders would not know about. Even though we may not see comic books as a new medium of information, there is something to be said for a child to visually see themselves in a superhero identity that brings about strength that might not have been used before. What a cool demonstration of cultures bridging. I always thought of super heroes as a rather Western phenomenon, but the idea of bringing super heroes into African culture is amazing. I think that is a way to bring Western culture to Ethiopia and also to bring Ethiopian culture to the Western world. I hope that the comic is an accurate representation of Ethiopian culture, because I would be really interested in reading it if it is an accurate depiction. A book (comic) review would be really helpful! It was nice reading your article matter of fact I always love learning about your ideas and your interpretation of them. Overall, I have to applaud you the admiration of wanting to keep up with the changes that take place in Ethiopia and the Ethiopian diaspora. I have to admit that can be difficult for people living far away from their home country. With that said, I love how the author of the comic points out that he wants to share the “real Africa”. To quote him “For me, depicting the real Africa does not equate to the dismissal or cover-up of the real problems that exist in Africa”. As an African immigrant, this is one issue that I hate having to talk about. The reason being, Africa is a region just like everywhere else, which creates space for both the positive and the negative. Westerners should not only be exposed to the negative and Africans should not be caught up on always defending the region by pointing out the positive. Overall, I love that the authors are not afraid to show all side and the real “Africa”. In addition, I would love to see how the comics would turn out if other African authors are involved. 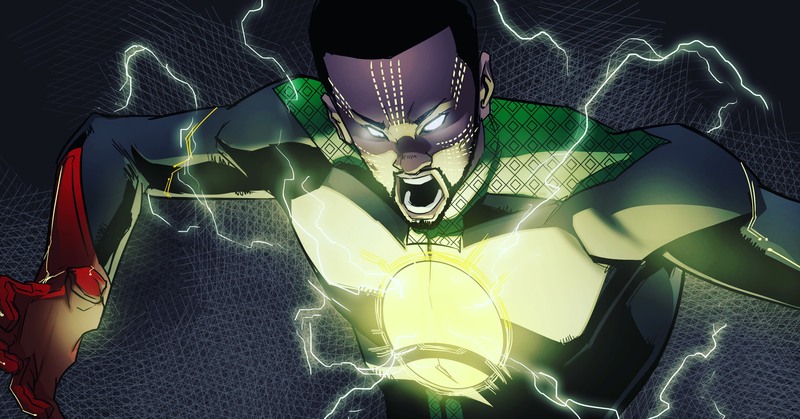 Would they create a blend of traditional, modern African Marvel Universe? P.S. I love Marvel movies. Thank you for sharing. This was a wonderful read. I am extremely impressed with how you reached out to the author and founder of Etan. I am entirely intrigued by this comic. I find this sort of cultural integration to be quite interesting. After reading this I am finding myself wanting to find other examples of cultural integration in comics like this. I look forward to reading further posts by you Eleni and I thank you for sparking my interest in the topic. its great to see that heroes of all walks of life are being represented in popular media. Especially one as well done as Jember. Character development is an overlooked cornerstone of storytelling, but I can tell that Jember will be a developed and flawed character. I say that with the highest acclaims, heroes that are perfect are boring and doomed to fail once their initial popularity wears off. I support this venture and I hope that this yields results and good fortune. This is a really awesome article! Thank you for taking the time to write about this comic! I think that this is such an awesome and valuable piece of media. I agree with what the author said about the youth wanting their ethnic background in the media. I remember when Barbie first came out with a variety of dolls that had different shapes and skin tones. It is really important for all children to see a representation of their cultures and backgrounds. It can be influential for their growth and development and help show them they can achieve any goal, job or activity they want. I am excited for this comic to expand and continue to grow! Thank you for talking about this! This article was one I really enjoyed reading because you also provided insight from the author. It is interesting to see a different type of comic that I am not used to seeing and reading more about it. I like how he explained how he got his idea and what motivated him to write a comic about Ethiopia. I do not know much about comics but think this sounds like an interesting read. I appreciate the article and the thoughtful questions you asked. Eleni, I think it must of been pretty special for you to open up the book and be reminded from home. I have never been that far from home before but I have some friends that are from across the world that have talked to me about what it is like. I also think it would of been cool for you to see bits of home and also a newer spin of Ethiopia that he displayed in the book. I think that this is a very good step, and I am sure many young kids love it. I’ve never been very interested in comic books, but my sister has introduced me to the world of superheroes through television and film, which I do enjoy watching. After reading this article, I think I would love to read Jember! It is awesome that you reached out to the author, and that he responded with answers to your questions! I love the fact that this comic book is actually educational about Ethiopia and the “real” Africa–not the stereotypical image many in the U.S. have of Africa. I’m so glad that there is a growing amount of representation in entertainment as well, and would love to see these comics and others like it expand! Thank you for sharing!